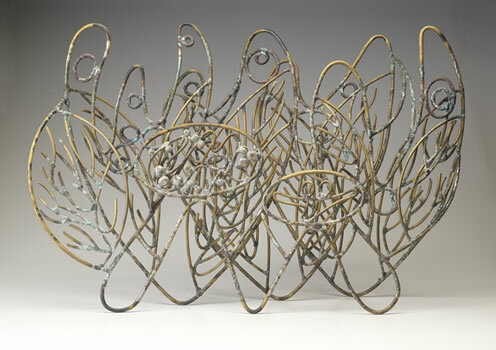 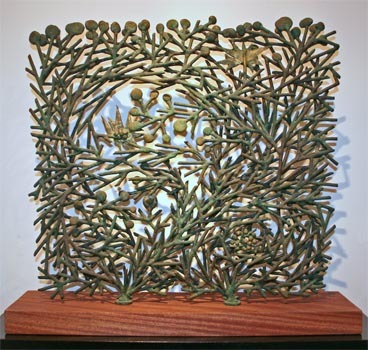 circa 1968, phosphor bronze and silver, 19 x 28 x 8in. 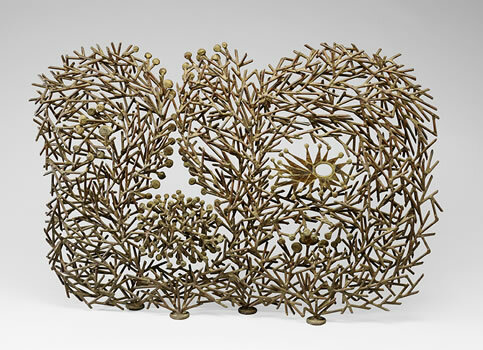 circa 1960, phosphor bronze and silver, 28 x 40 x 2.5in. 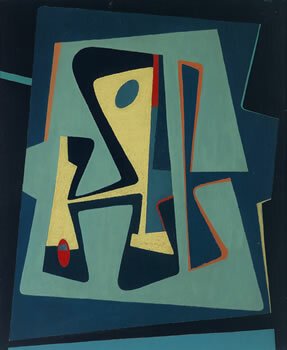 1950, oil on canvas, 54 x 44in. 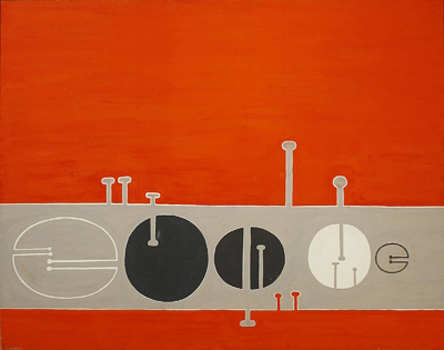 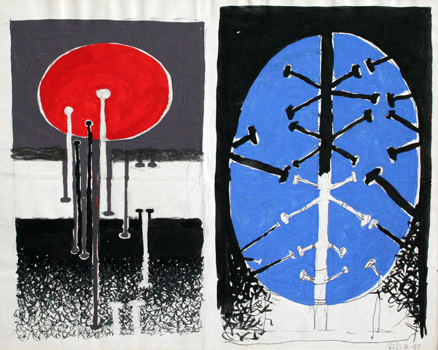 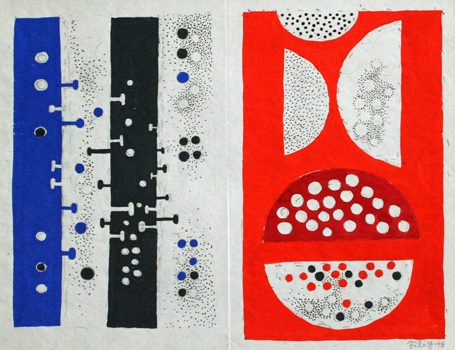 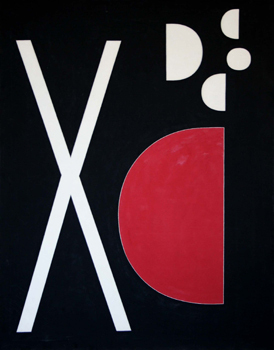 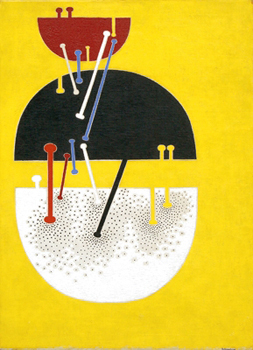 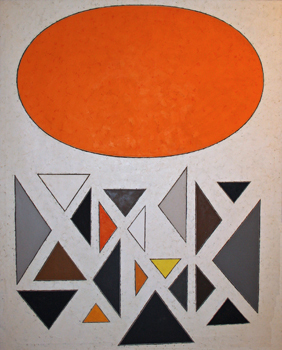 1948, gouache on paper, 22 x 28in. 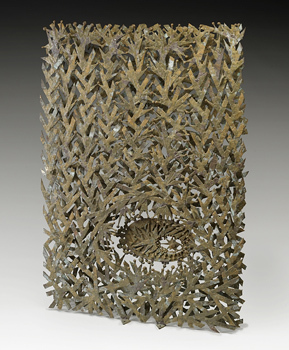 circa 1960, phosphor bronze and silver, unique, 37.5 x 25.5 x 2in. 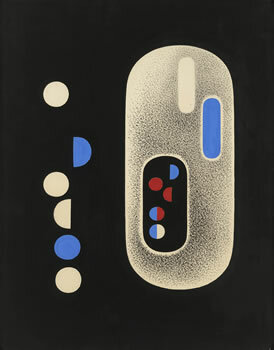 1947, phosphor bronze and silver, unique, 8.5 x 11in. 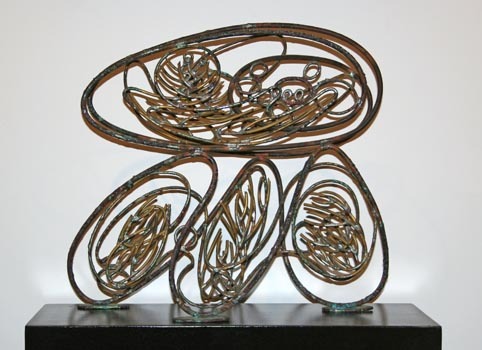 1960s, phosphor bronze and silver, unique, 27 x 29 x 2in. 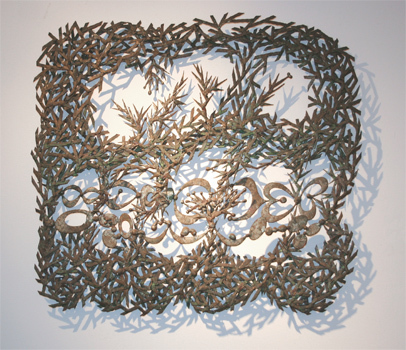 1960s, phosphor bronze and silver, unique, 22 x 24 x 2.5in.